What I’m reading right now, and yes, really enjoying! (thought I’d get that out there right away 😉 ) is Julie Czerneda’s Search Image, the first in her new science fiction series, the Web Shifter’s Library. It’s not the first Web series, though, but the second, bringing back the central characters from the Web Shifters series, chiefly Esen-alit-Quar and Paul Ragem/Cameron. 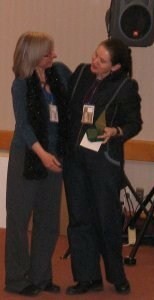 Canadian author, Julie Czerneda, has written nearly twenty novels now, most of them science fiction, so I’m not going to hide my head when I admit that I haven’t yet read the original Web Shifters series. I’m almost certainly going to, though, since (as above) I am enjoying Search Image. I’m about half way through and so far, it’s a fun, adventurous story with plenty of Julie’s trademark worldbuilding and biologist’s take on fascinating species. 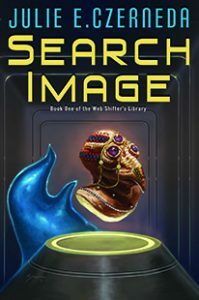 If you like your science fiction with plenty of alien species and also space travel, humorous storytelling and engaging characters, then I suspect you’ll enjoy Search Image as much as I’m doing right now.